Today’s post is the fourth in a four-part series on transforming the data culture at the Gloucester Twp. School District. Tim Trow, Director of Curriculum and Instruction, writes for the SJDLP. “Never Give Up, Don’t Ever Give Up!” The words of National Championship coach Jim Valvano still send chills up and down the spine when heard yearly during fundraising efforts made by the cancer research foundation he founded. He spoke these words announcing the creation of the foundation even while he was losing his own personal battle with cancer. While creating a data culture seems inconsequential in relation to the life and death battle with cancer, it undoubtedly has parallels. Any cause to not only sustain life but improve the quality of life for generations to come is worthy of dogged determination and persistence. Quality data use by schools absolutely holds the promise of improved lives for the students in them and their future families. As I thought of how I would close this series, I struggled with how to avoid stopping at a seemingly trite plea for persistence. While important, I wanted to move beyond a bumper sticker and summarize what I believe are some of the key characteristics of a healthy data culture and how those who value it and lead it can cultivate it consistently. While this entry is last in this particular series, it comes as a welcomed reminder as we begin another year leading in our schools. I believe there are 4 “C’s” to consider as we lead. Peter Drucker’s words send a clear message that data and data processes are worthless without a culture that values them and more importantly believes they will yield success and raise the quality of life for those in the organization. Are plans important? – you bet! – but never shortchange culture building in our process. Systematic and intentional efforts to model and insure the success of early small efforts will help support the culture while we continuously feed the purpose modem to keep human nature from eating the strategies we have for breakfast. Mark Twain sums up the second C – Context. People– and, most importantly, teachers in an educational setting– often distrust data because they have seen it used by unscrupulous politicians and others to undermine and criticize their work without painting the whole picture. I caution all of us to avoid the trap of certainty. Data is an amazing tool and modern technologies have given us increased access to more data than our predecessors could imagine. Again–context matters. Be slow to jump to conclusions. Use the data to formulate more questions that will provide more context to the data. The 5/7 Why? Method is a great example of how to get to a root cause. Asking the question “Why?” with each subsequent piece of data five to seven times builds context and helps insulate us from snap judgments that will undermine our work in building trust and possibly send us in the wrong direction. Abdul Kalam’s words ring true Isn’t that what we are ultimately trying to do as data leaders? Data is a tool. It can be used for good or bad. Our charge is to use it for good. The third “C” – capacity – reminds us that we have to determine the needs of those in our organization and discretely teach them the skills necessary to effectively do the work. With small, supportive, chunks of skills and data their capacity grows and our inequalities begin to even out. This takes years not months. Our data work as data leaders is not complete unless others are brought along with us. This Mark Twain guy was pretty insightful and ahead of his time! The final “C” – continuous improvement – is a reminder that our process never ends. As leaders we have to champion the idea that never reaching the end is a great thing. Celebrate our accomplishments while never being satisfied. A glorious paradox that no doubt is an art form to cultivate for leaders in any arena and especially those using data to improve educational outcomes for generations to come. Author Marc MancinelliPosted on October 12, 2018 October 12, 2018 Categories UncategorizedLeave a comment on Never Give Up! Today’s post is the third in a four-part series on transforming the data culture at the Gloucester Twp. School District. Tim Trow, Director of Curriculum and Instruction, writes for the SJDLP. The chants showered down through the rafters as the Philadelphia 76ers won their first game of the 2016-17 season. This after several moribund seasons in which the team often traded away perfectly good players– “assets” for the future– for potentially greater assets. They lost games in historic proportion all in the name of General Manager Sam Hinkie’s “process.” So, while the 76ers were a year away from seeing the fruit of the now-fired Hinkie’s “process,” I smiled as I sat and listened to the fans chanting loudly, as they watched one win after so many losses. I apologize to the readers who are not sports fans for this connection to the world of sports management, where advanced statistical metrics in nearly every area of team building have resulted in significant changes for how the games are played and how players are chosen and measured. How does this connect to the world of educational leadership, where we don’t just cast “imperfect” students aside in exchange for those who better fit our statistical models? I would argue that while there are differences in application, there are also significant connections and similarities to making data based change in any arena of life, including education. In my previous two blogs in this series, I laid out how my district is going about building a data culture and establishing small victories along the way. The challenge is to maintain a focus on the things that matter. Failure often comes when we lose sight of the goal or lose faith in our plan. That can happen very easily as education changes rarely yield large and immediate impact and also compete with so many distractions and competing priorities. Changing thought patterns and actions takes many repetitions over long periods of time. We fail to gain incremental and sustained progress when we stop reinforcing the desired change and move on to the next change. We do not see the process through. This is where I would say that our district finds itself currently. I shared in the previous blogs some of our successes both in practice and in product that were brought about in large part from our data work. I can also think of about a dozen other competing initiatives across grade levels and departments that, even as they fit perfectly into the model, threaten to distract us from the work. I, as the leader of the data work, face down fears like what do I do if we do not see another year of standardized test score improvement like we did last year? Will that undermine our progress and the message? Will the process be damaged? Will administrators and staff feel as though their efforts are not rewarded and just slip into patterns that involve just going through the motions with casual use of data? As data leaders our job is to do just that: lead. Change research is clear as to the process. Use multiple sources of data to identify areas of need. Utilize observations and the body of scientific research to identify the root cause and solutions to the area of need. Apply the proposed remedy or change. Monitor the quality of implementation and the impact of the change along the way. At strategic points, review the data and modify the plan based upon the data and other observed issues in implementation and scientific research. Following this cycle, or process, will lead to meaningful and sustained change and success. It sounds easy. All of us espouse belief in this process and have used it throughout our training in undergraduate and graduate programs. The problem? Rarely, do we begin the second cycle of the process. All too often, we are diligent in identifying a problem, researching it and applying a solution. I can think of many initiatives over the years where this has happened and an initiative begins with significant fanfare only to lose momentum and languish in a slow death because it was not monitored and revised. So, as our district moves into year three of our data initiative, I am “Trusting the Process” by watering it in a few simple ways. We have and will celebrate our successes through frequent acknowledgement of administrators and PLC groups utilizing our tools and monitoring progress. We will also formally review progress toward goals set last summer, review key beliefs and research content learned and modify/set new goals for the upcoming year. Each administrator and teacher will be challenged to reflect and strengthen their use of data and apply it to the specific initiatives in which they participate. I wish I had something a little flashier to share, but the process really is not flashy. It is simple, yet so hard to follow. If we as educators are to become all we aspire to be as professionals and practitioners, we must “Trust the Process” to successfully continue this cycle of sustained, incremental growth. In part four, I will explore the idea of never giving up, as “trusting the process” is never over. Another key factor in creating a data culture in the world of education. Today’s post is the second in a four-part series on transforming the data culture at the Gloucester Twp. School District. Tim Trow, Director of Curriculum and Instruction, writes for the SJDLP. Observation suggests that these two extremes attack progress with utilizing data effectively within classrooms, schools and districts. They do so insidiously– slowly, and from opposite ends of the continuum. Individuals either give up before they begin or bite off more than they can chew. In my last post, we looked at establishing a culture of data leadership. In this post we will look at the need for incremental growth by looking for “small victories” that demonstrate progress for each member of the organization along a continuum of data use. Jay McTighe has described this as starting small and looking for an early win in November. This acknowledgment– that nothing big happens fast and that the psychology of a successful experience builds confidence and desire for more— is essential to improving data use and building a culture of sustained growth. At the conclusion of my first year in my current position as Director of Curriculum, our district was awarded a Achievement Coach state grant from the NJDOE. After training selected teachers and administrators in various aspects of best practices for student learning and achievement, we chose to turnkey-train our staff in the use of newly-developed reports to inform instructional decisions to improve student achievement. We saw our success in noticeable improvement in student outcomes the subsequent spring on our state assessment results. Even with this success, one of the lessons learned was that there were pockets of success that drove much of the gains with those who “bought in” and understood the training best. This was true at the principal and teacher level. While we thought we had started small and had success, qualitatively it was evident that we should have started with even smaller, more manageable improvement targets. 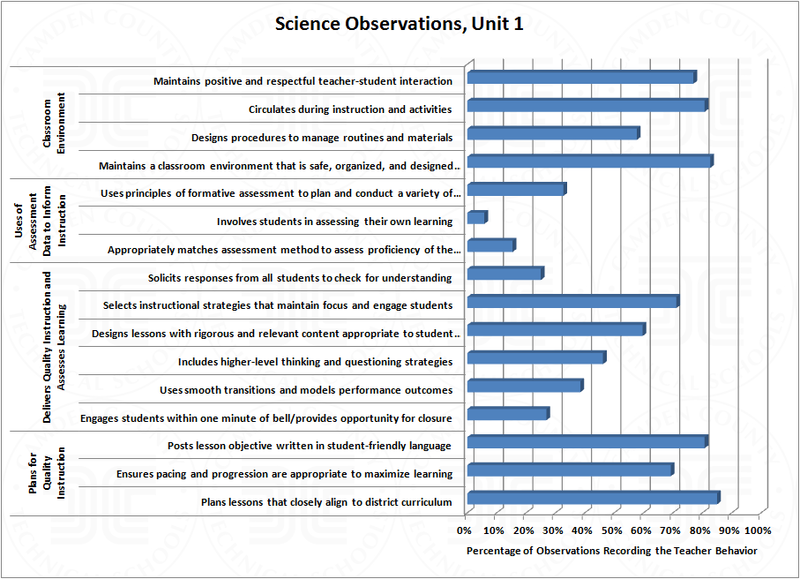 We believed that with an 11-school district we needed to be sure to do a better job of developing our building administrators’ capacity to lead data discussion and activity if we were going to have the systematic data culture we needed, rather than mere pockets of data-rich discussion and activity. Sure, I had always been known as a “data guy,” but had I really done enough to make data accessible and practical for others? Last summer we contracted with Dr. Tracey Severns who led an administrative retreat with a strong orientation toward curricular leadership, particularly in the area of assessment and data. Our administrators were inspired and developed action plans for the following year that focused primarily on improving their work in setting expectations and support for richer discussion and use of data in PLC meetings. I also committed to improving my own modeling and leadership at district administrative curriculum meetings. We had a district “Data Day” for all administrators in August to review student achievement data in a fashion we had learned from Dr. Severns. The response of administrators was very positive and I asked them to conduct their own similar activity at their September faculty meeting. District supervisors led activities with specific subject matter teachers at the middle school level and I met with each principal to review their plan and activities early in the fall. Follow-up meetings in which principals shared their successes and challenges later at principal’s meetings provided opportunities for collaboration and growth as well as keeping the focus on the important goals set by each of them and the district. I learned that each principal was at a different place with their comfort and use of data. I learned that with modeling and support, each of them moved and improved their practice and comfort level with data. Some discussed data with me for the first time ever. All improved their discussions with staff. Throughout this year, I have had the great pleasure of sitting in on numerous building-level, data-rich discussions that identified root causes and led to practical discussions improving practice both instructionally and in support of students’ social/emotional needs. Are we perfect? Far from it, but what I know is that we experienced incremental improvement resulting in “small victories” across our district. Each small victory will allow us to take another step forward as each administrator feels more positive about the district practice and is ready to learn something new. Regardless of your personal or district level data use, understand that through small intelligent and strategic steps, you can conquer the mountain of data available to us and find practical ways to improve outcomes for students. The satisfaction of making a difference for students is the reason we all entered this profession and the effort is well worth it! In my next post, I will explore the need to “Trust the Process” as we improve our data practice. Our post today comes from Tim Trow, an SJDLP Board member and Director of Curriculum and Instruction for the Gloucester Twp. Schools. Tim’s post is the first in a four-part series about how his staff have moved from a data-fearing organization towards a model for positioning data at the heart of school operations. Tim’s first post covers his introduction of a data-centered mindset to his staff, and the role of fear in this early stage. Look for more from Tim soon! Glassy-eyed, empty caldrons of confusion. I have found that most educators accept the fact that there is much data out there, but very few trust the data or have any idea what to do with it. Sadly, the teachers I have worked with fear it more than they want to use it to improve student achievement. I attribute this to the politicized rhetoric of the times in which “failing schools” and “incompetent teachers” are discussed using standardized test data. Virtually no context or nuance is shared, and teachers see this data being used to punish schools and fire teachers. Then I stand up in front of them and start talking about data and how we’re going to use it to improve our practice. The inevitable and sad reality is that the culture of fear and self-preservation takes over and teachers resist or withdraw. This should come as no surprise—it is basic human behavior. In building culture, it is essential to establish trust. Data is a tool. As with all tools it can be used to build and improve our lives or it can be used to harm us and tear us down. To ignore the need to establish rapport and trust with those we seek to lead is to set us up for undoubted and total failure. My first mission is to establish that my primary goal is always to teach and grow others—not just in word, but in deed. I found that my staff, in general, rallied around this call to action. It has been a less than linear process, but three years later, I look back and see how we have systematically worked to integrate the use of this data and other key data to solve district issues and improve outcomes for students. I have done everything in my power to take the data presented to us and use it for good. I’ve worked to protect my staff with the idea that no matter what the data tells us, we can use it to thoughtfully inform and adjust our practice for everyone’s gain, not their detriment. We are not assessing blame, but informing growth. My belief was and is that creating a culture of trust and collaboration requires people like me using my platform to use words of encouragement in the use of data and then backing them up with concrete action that reinforces the value and importance of data in a safe environment. Then, and only then, do staff start to warm to it based upon the trust created. The road can undoubtedly be bumpy, but I hope to share some practical lessons learned in future posts including: Small Victories, Trust the Process and Never Give Up – Don’t Ever Give Up! We can impact our schools with the use of data. It is a moral imperative entrusted to us. Keep the faith and act in a manner that builds trust as we strive build data rich cultures in our schools! We’re very excited to announce the 2018 SJDLP Conference! When we began as the South Jersey Data Specialists Partnership, our mission was to create a space for folks in the data specialist position. Most of us had titles like “Data Specialist,” “Director of Planning and Assessment,” or “Chief Performance Officer.” Many of us were curriculum people by title, but were the primary data specialist in the district. So it made sense for our name to reflect who we ourselves were. As we’ve worked and grown, a new and more-important purpose emerged. We began to realize that if we were going to change schools for the better and improve the lives of our students, we would need all educators– in every role– to be confident data users and leaders. To succeed, students need their teachers, counselors, CTS team members, assistant principals, principals, supervisors, directors, and superintendents– and everyone else– to be data-confident and data-reflexive. This is the SJDLP’s real work. The question “What happened?” is so basic that it’s easy to forget its importance. It’s one of the first phrases we learn– if you don’t believe that, read for a while with a three-year old. And like many simple but important questions, it can be difficult to find a satisfactory answer. 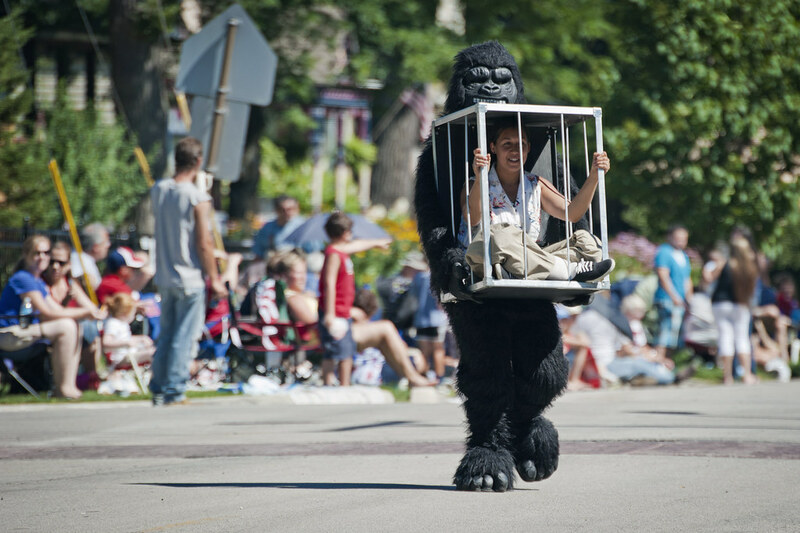 1) There is a gorilla carrying a woman in a cage, parading down the street. 2) This town really knows how to celebrate July 4th. You could then go on to make some observations about the cage, the woman’s clothes, the fact that this is probably a person in a gorilla suit, etc…. But you wouldn’t as yet, be able to tell why this spectacular scene is before you. It is a political statement? Modern Art? A revolt at the zoo? David Lynch’s retelling of Goodnight Gorilla? In other words, you’d know the what, but not the what happened. And this is all good. We’ve successfully identified that whats. We know there’s a gorilla and a lady in a cage, and we know what these teachers have and have not been observed doing. But what we don’t know is the why— why are we seeing the things we’re seeing? This is where story comes in. To be a good storyteller, you have to know what happened. You have to know, for instance, that this is a school where there were rampant discipline problems 10 years ago, and the most important thing was for teachers to get control of their classrooms– more important than performance on any assessment. And the school hired supervisors who cracked down in specific ways– teachers who had their plans in on time were rewarded, and those who could demonstrate the easy stuff– like walking around the room and being nice to the kids– were left alone. No one cared about “messy” formative assessment and checking for student understanding because the administrators believed that the more work the teacher gave to kids, the busier they’d be and the better they’d behave. And now, 10 years later, the teachers still show these behaviors, even though the school has changed a great deal, but they’re still teaching the kids from 10 years ago. … I’m missing a lot of the story, and a lot of the root causes behind what I’m seeing in my snapshot in time. To use data effectively, we need to know what happened. And that involves digger much deeper than we’re accustomed to. It’s not enough to look at presented data, make some observations about what we’re seeing, pat ourselves on the back, and say “Let’s stop doing that!” Knowing why we’re seeing certain data– what happened to make the data even be there is the most important part of telling stories with data. Only then can we begin to use data to change the way things are, and write the story of what will happen from that point onward. We will periodically be coming back to the idea of story on our site. So much of data leadership goes beyond technical work– it’s more about understanding why people behave how they do, what root causes underlie organizational culture, and what will motivate people to change. Through all of this, we’re talking about people— and to understand people, we have to understand the role of story and narrative in how we see our world. Author Marc MancinelliPosted on February 9, 2018 February 12, 2018 Categories UncategorizedLeave a comment on What happened?